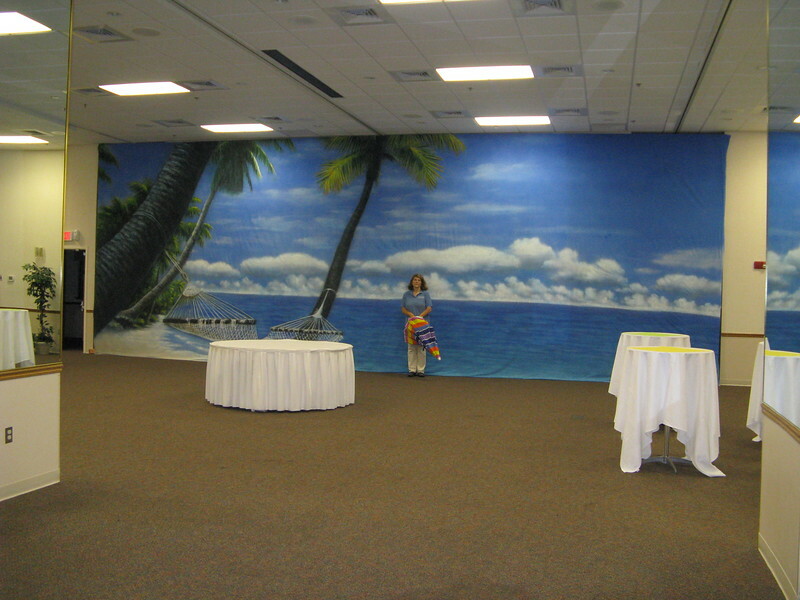 Beach Birthday Party- Here's the backdrop with no decoration yet. I'm standing in front of it to give you some scale. It's 14' high x 40' long.